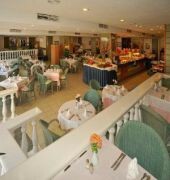 This hotel comprises a total of 122 accommodation units. The lobby has a 24-hour reception desk. 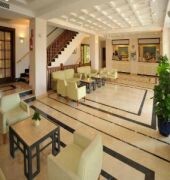 Facilities include a bar, a currency exchange desk and an air-conditioned restaurant. There is also an Internet terminal and a bicycle hire service on offer. Younger guests may participate in the kids' club activities and let off some steam in the children's playground. Medical services are available. A car park and a garage round up the facilities on offer.